The maritime and energy industries are looking to boost their profitability and explore new business models through digitalisation. However, companies are increasingly recognising the need to overcome data quality issues and manage the ownership, control, sharing and use of data. To facilitate frictionless connections between different industry players, domain experts and data scientists, DNV GL is launching an industry data platform. “This is the start of transforming some core elements of our 150-year-old company into a global digital-platform business. It will not happen overnight, but we have a unique starting point. 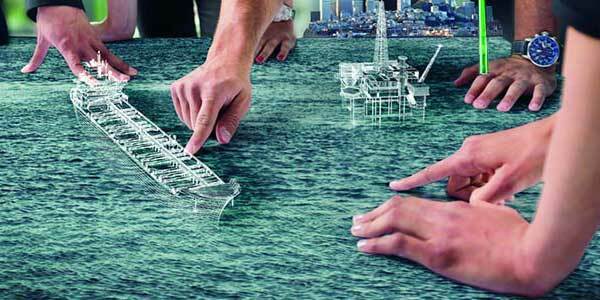 DNV GL is already a trusted custodian of asset and performance data from ships, power grids, wind and solar farms, oil and gas installations, fish farms and the healthcare sector. That’s why we’re building an industry data platform in collaboration with Microsoft Azure and other leading companies. DNV GL is not looking to own data, but to unlock, qualify, combine and prepare data for analytics and benchmarking,” says Remi Eriksen.